Fishing has been HOT here along the Crystal Coast this week! 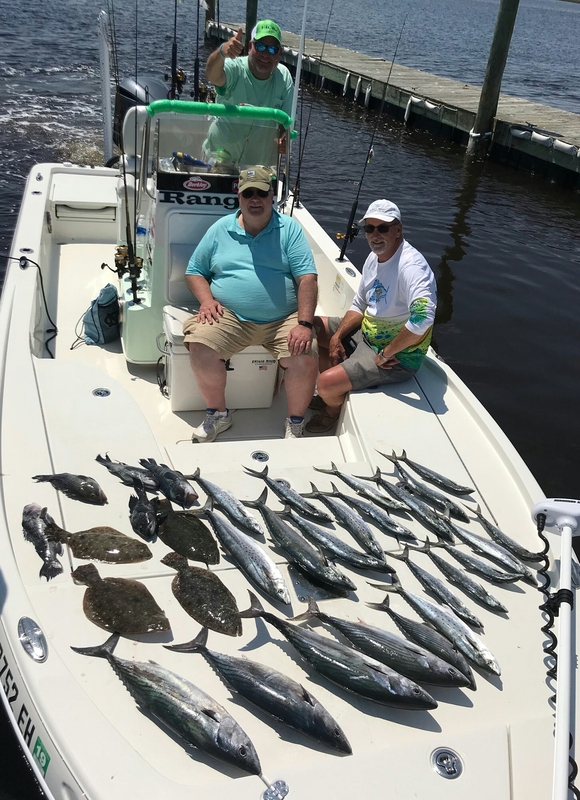 Capt.’s Jeff Cronk and Mike Taylor have been successfully targeting Bonito, Spanish Mackerel, Flounder, Redfish, Bluefish and Cobia! The weather has been beautiful providing optimum conditions for sight fishing both inshore and nearshore. 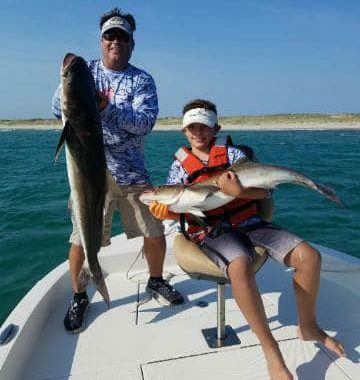 Our biggest catches this week include a 50lb Cobia, 40lb Redfish, 9lb Bonito, 3lb Flounder, 5lb Spanish mackerel. Folks, fishing is excellent right now here along the Crystal Coast and it’s going to get even better over the next few weeks. 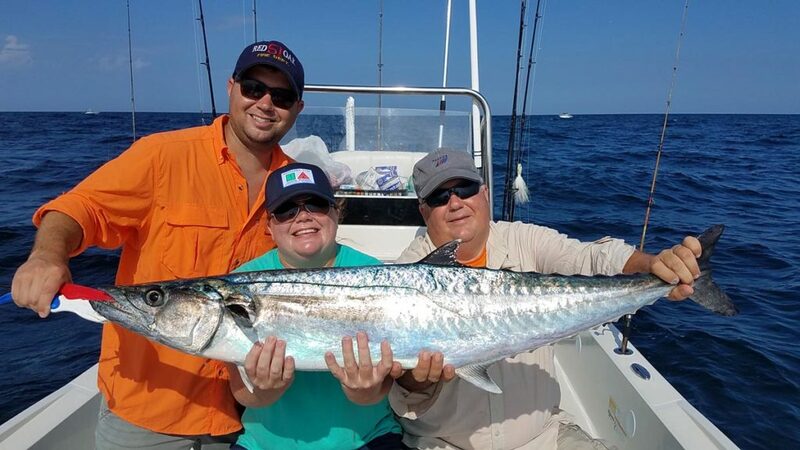 We will begin seeing King Mackerel moving closer to the beaches this upcoming week along with Mahi and good numbers of flounder too. 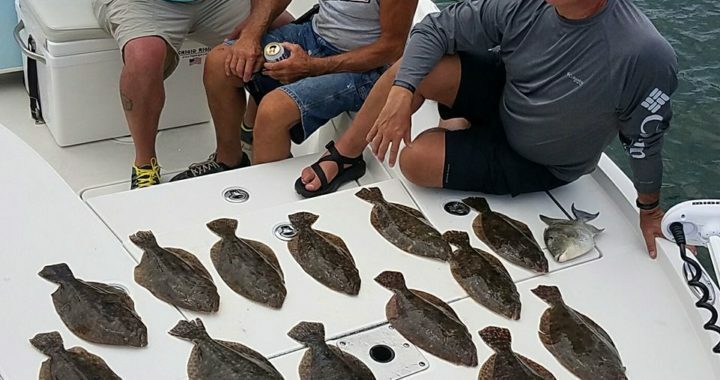 The backwaters are producing excellent numbers of redfish and bluefish and anglers can expect to see plenty of sheepshead showing up this coming week along with sea-mullets, flounder and other bottom fish. It’s time to get on the water! Give us a call for your next trip!